Isabella Sgambelluri has been dancing since the age of three and competitively for the last ten years. Isabella has studied and explored many forms of dance including Ballet, Jazz, Tap, and Lyrical. She has her dance certifications from the British Association of Teachers of Dancing (B.A.T.D) in Ballet and Tap up to grade 5 as well as elementary level in Jazz. Isabella has been hand selected from her BATD examiner on two separate occasions to attend the annual National Trixie Hardy Scholarships in Toronto. Isabella has regularly taken part in various workshops with highly skilled choreographers in Ballet, Jazz, Tap, Contemporary and Musical Theatre. As a recent graduate from Saint Patrick High School, Isabella was given the opportunity to share her love of dance in the school’s drama production of Footloose. Isabella was an active member of the cast and provided assistance in choreography for various scenes. 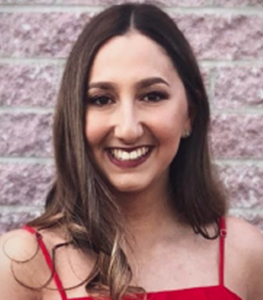 Isabella has been an assistant dance instructor at a local dance studio for the last six years and is very excited to become a member of our team here at Dance Dynamics Studio.